Rossi Rifleman • View topic - .38-55 conversion? 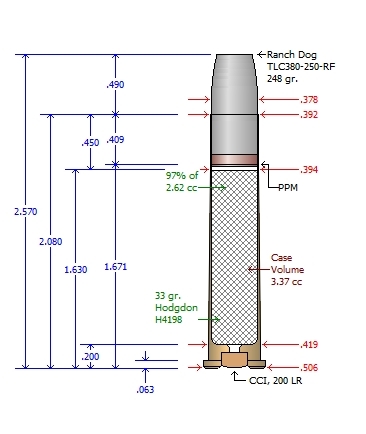 Has anybody here ever had a .30-30 Rio Grande converted to .38-55? Just wondering if one would make a good donor for conversion? 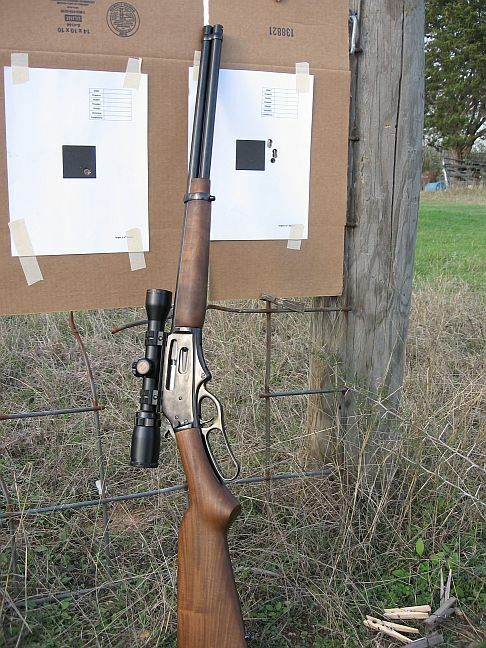 rondog wrote: Has anybody here ever had a .30-30 Rio Grande converted to .38-55? Just wondering if one would make a good donor for conversion? Yep, I did. JES told me not to send him another, but he did not explain it, and I'm not sure why he said it. From my end, it is a wonderful rifle. I had him cut the 38-55 Win chamber with the 375 Win bore & groove (.366"/.376"). I didn't want to be screwing around with fat bullets. The rifle is extremely accurate. I use Winchester brass and a TLC378-250-RF that I designed. 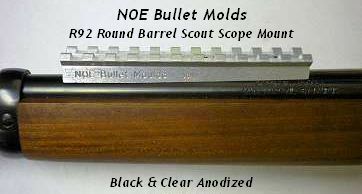 The only thing that I had to do to the rifle was open the upper inside of the magazine port to allow the long bullet nose to clear the inside radius of the hole. I did that work with a rounded file from outside of the port. My load. The bullet is labeled "380," but it is really "378". I did a group buy for the "380" for the fat guys. Within a couple of months, I refinished the would with Tru-Oil. It is a beautiful rifle. I bought the rifle on sale for $250 and at the time JES was charging $225. The Rossi has quietly doing it's thing for 6 and a half years now. 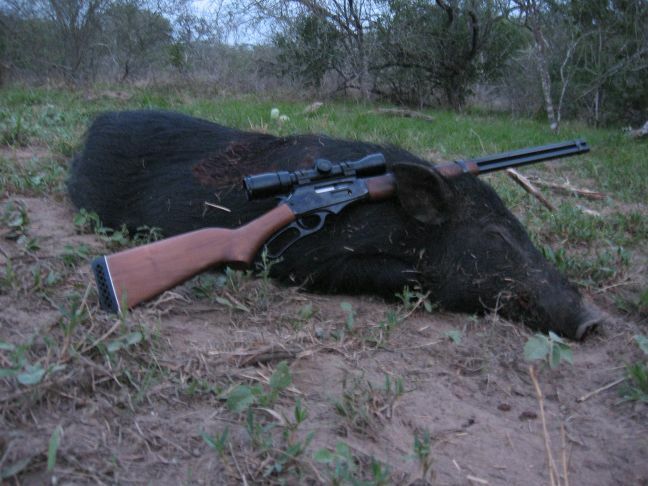 No telling how many hogs the rifle has killed. It really put my Marlin 375 out of business as I would rather shoot the Rossi. I did pump new live into the Marlin by putting the XS Scout stuff on it. and me too! My old Marlin is happy that he's safe from the temptation - .35 Remington keeps him that way! Yep, my '75 336 in 35 Rem agrees. I couldn't figure a reasonable way to convert is to a straight wall case. The '80 JM that I sent to Jesse is a nice looking rifle and I'm sure some Marlin purists would be aghast at this taking place, but I wanted a 38-55 and the least expensive non-conversion route was close to double what this one is costing. I will decide on the cross-bolt safety when it gets back and I shoot it for a bit.